... several days, weeks or months of their lives.ApplicationsThe Advanced® A3186 is a Neonatal Incubator used in Pediatric Hospitals, Birthing Centers, Nursery Units and Neonatal Intensive Care Units. 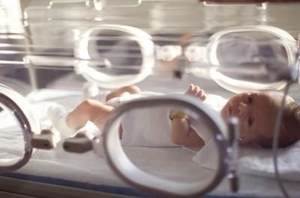 Infant, or neonatal incubators provide an environment ensuring the viability of newborns. This includes stable, appropriate temperature and humidity. They are particularly common in the care of premature newborns. They comprise a chamber housing the infant and a system for controlling its environment. Such an apparatus is used principally for neonatal intensive care and on maternity wards. Transport incubators are used in emergency departments. - In closed models, the chamber has doors and ports to facilitate access to the baby and the installation of monitoring equipment. In addition to temperature regulation, they control humidity and filter the air. - Open incubators, or radiant warmers do not have a closed chamber. Temperature is maintained by heat lamps and, in some cases, a heated mattress. Choice will depend on the specific intended use. For example, a traditional incubator cannot be used for infant transport. Another factor is the range of parameters requiring monitoring. In closed units, the number of doors and ports, and the mobility of the mattress support also should be considered. Adjustable models can be placed at a comfortable working height for care personnel.